Norwegian Cruise Line’s “Upgrade WAVE” sales event continues, offering savings for cruises on the line’s award-winning ship, Norwegian Epic. 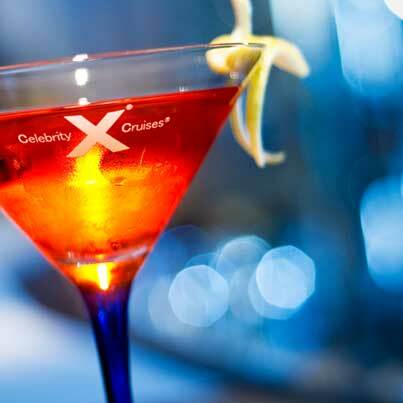 Guests who book a cruise vacation of five days or longer on board Norwegian Epic now through February 22, 2013, will receive up to $100 to spend on board, free balcony upgrades, and e-coupons worth over $300 in on board savings. 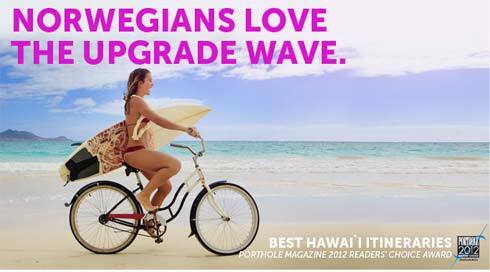 A special bonus day offer on all Hawai’i cruises beginning today as Norwegian Cruise Line continues their “Upgrade Wave” sales event, Thursday, January 31, 2013. Now through February 1, 2013, all new Hawaii cruise reservations on board Pride of America, the only large US-flagged cruise ship, will receive $100 on board credit per stateroom (regardless of category), plus free upgrades, reduced deposits and an e-coupon booklet with over $300 in on board savings.